Where does personality come from? Does it come from society? Parenting? Experiences? Genetics? Or something else? In this episode of Weekly Advice from Everyday Experts, James Edmondson and Yours Truly weigh the different factors, as discussed in Peoplality: Where Does Personality Come From? – Discovering the Secrets Our Brain Holds, a Hub by toknowinfo. The Y chromosome is a fascinating thing, as anyone who has read leahlefler’s Hub The Y Chromosome: Ancestry, Genetics, and the Making of a Man could tell you. In this episode of Weekly Advice from Everyday Experts (Y Chromosomes – Bundles of Genetic Fun), Jason Menayan and Simone Smith discuss leahlefler’s fascinating exploration of the Y chromosome. There is much more to this scrawny packet of genetic information than one might expect! Do you have a comment on the podcast, or have a Hub in mind that would be great for a future discussion? Send us a message! 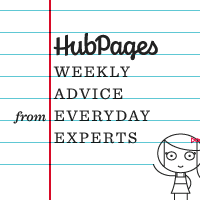 In this episode of Weekly Advice from Everyday Experts, I am joined by HubPages designer James Edmondson. As informal HubPages podcasting tradition has it, whoever joins me gets to pick the Hub we discuss, and James suggested we do one of my own, so for the first time ever, we’ll be discussing a staff-written article! Don’t worry- it’s an interesting one. In this podcast, James and I discuss How to Make People Uncomfortable. From disturbing and disconcerting faces to costuming and behavioral tactics, we have you covered on the art of intimidation and creepiness! If you want to read the original Hub, go on ahead, though I recommend listening in instead. You just might discover how making other uncomfortable enables you to reach your highest potential! Are there any Hubs you’d like to recommend for a future podcast, drop us a line. In the meantime, happy Hubbing!